During the tour you will experience outstanding views of Kerry’s majestic coastline which is part of the Wild Atlantic Way. 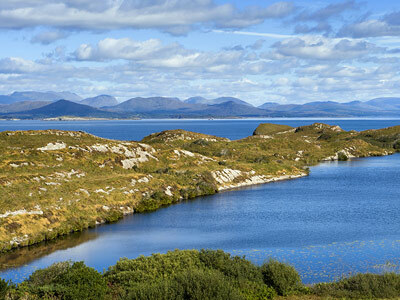 You will also experience panoramic views of the Killarney Valley, it’s lakes and mountains. Of particular interest during this tour will be The Skellig Islands – one of Ireland’s UNESCO Heritage Sites. The Beara Peninsulais much less travelled than its near neighbours of the Dingle Peninsula and the Ring of Kerry, but it is as beautiful and dramatic as the better known routes in the Kerry area. Your tour will bring you to the lovely town of Kenmare, dramatically set within mountain ranges at the foot of the Kenmare river. From here you will travel along the northern edge of the Beara Peninsula to Kilmackillogue Pier where we can stop and perhaps stay a while at O’Sullivan’s Bar on the pier. This is rural Ireland at its best. A lovely pub in a coastal location with stunning scenery in every direction. 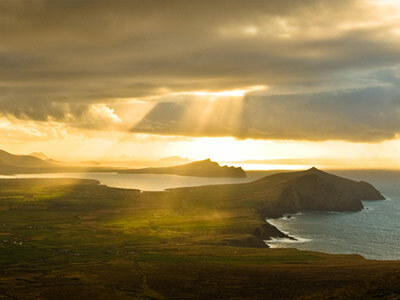 Come with us on a tour of the Dingle Peninsula and in particular Dingle Town and the Slea Head Drive. Our tour starts at a location suitable to you. We will travel to Inch Beach for our first view of Dingle Bay. 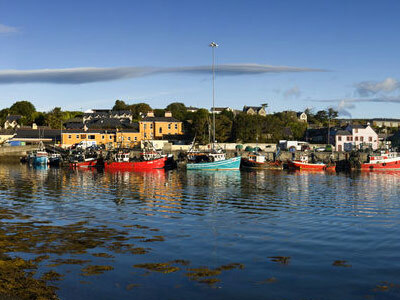 We will then drive on to Dingle Town, a lovely coastal fishing town with a lot of character and plenty to explore. From here we tour onto the coastal portion of the Slea Head Drive..
After being picked up at an agreed location we will travel to Blarney, Co. Cork. 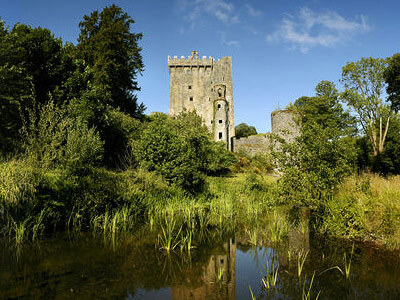 At Blarney you have the option of visiting Blarney Castle and Gardens. This is an opportunity to go to the top of the castle and ‘kiss the Blarney Stone’. Irish mythology tells us that on kissing the stone you are blessed with the ‘gift of the gab’’..you will acquire the power of being able to communicate better!.